Let’s face it. There are A LOT of different cuts of beef and sometimes it can even become a little bit overwhelming. So, before you find yourself sweaty-palmed and wide-eyed at the butchers again, study up on beef and know which cut you’re looking for before going in. Which is why we thought we’d help you out with ‘Meet the Cow: Beef Cuts and Uses’. For many people, buying the same cut of meat and preparing it in the same way is an everyday thing. There’s nothing wrong with that, of course. Especially when you consider the price of meat and the disappointment in a failed recipe. 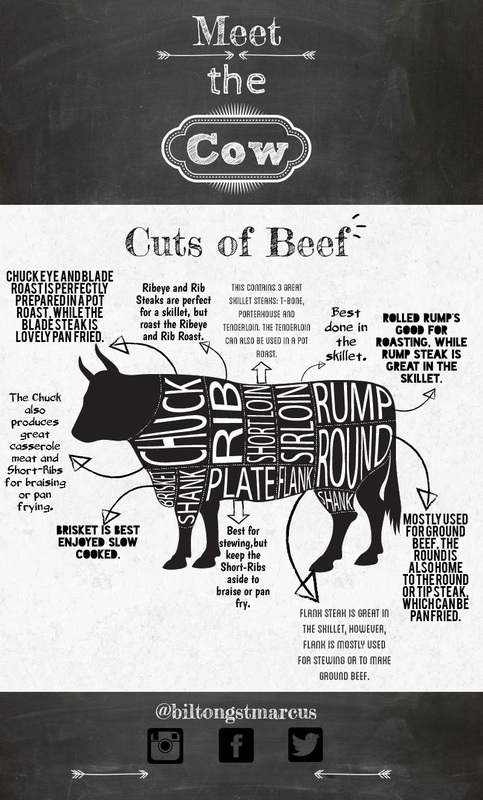 That’s exactly why we thought this ‘Meet the Cow: Beef Cuts and Uses’ infographic is the perfect way to familiarise you with different cuts of beef and how to prepare it.